With different areas of proficiency: Hardwood, Laminate, Luxury vinyl, carpet, and tile, we are able to accommodate most of every client’s flooring needs. We provide professional service, quality floor installation, refinishing and repairs at an affordable price. Owner on site for each and every job, customer satisfaction is our priority. The Humble Abode is a HSR Certified Professional Home Staging and Redesign Company serving the Charleston and Mount Pleasant SC areas. We believe that successful staging is the artful combination of marketing and decorating techniques to create an environment that inspires buyers to say, "if I buy this house, I can live like this." 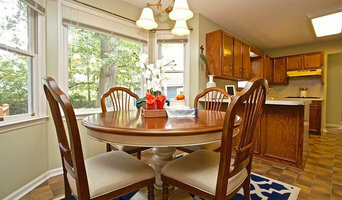 We serve Home Sellers, Realtor's, Real Estate Investor's and VRBO for all staging needs. 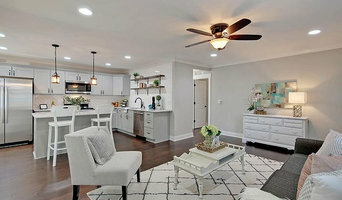 We also believe that successful interior redesign is the art of using organizational and decorating techniques to create an environment that is comfortable, stress free, beautiful and personal to you. "I love and feel at home in each room of my house!" Aquatica Pools & Spas of Charleston is family owned and operated. We are a full service pool design, swimming pool construction, pool renovation, remodeling, maintenance and pool repair company, serving homeowners and home builders throughout the Tri-County area. 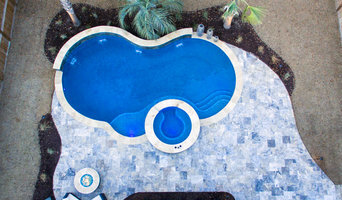 We pride ourselves on our unique pool designs, superior construction, reliable pool service and affordable prices. We have nearly 2 decades of experience serving many satisfied and happy customers in South Carolina, and are members in high standing of the Better Business Bureau. Kevin E. Whalley AIA, NCARB and Tim S. Hilkhuijsen AIA,RIBA are the Principal Owners of Architecture Plus, a full service Architectural Firm located in Charleston, South Carolina. Kevin has over 34 years of experience and Tim has over 25 years of experience in bringing creative talent to architectural design in many residential communities as well as designing many commercial and Institutional buildings over their careers. Architecture+ is a full service design firm that specializes in renovations, residential new construction, and the adaptive reuse of older buildings. We believe that architecture must be durable, functional, culture-based and be responsive to each individual character and to the desire of each individual client.Our goal is to provide quality architectural services and to harmoniously improve our built environment one structure at a time. Each of our projects, whether set in the heart of an urban center or a peaceful, low-country landscape, reflects the special character of its setting. Our artistic vision, technical skill and attention to detail are the foundation of this firm. A strong sense of stewardship for the environment, our community, and our client’s dreams continue to inspire our work.We are registered architects with licenses to practice in the state of South Carolina, the state of Colorado and the District of Columbia. We are members of the American Institute of Architects (AIA), the National Council of Architectural Registration Boards (NCARB) , the National Association of Home Builders (NAHB) and the Royal Institute of British Architects (RIBA). Our firm has years of valuable experience in the design of high-end custom residential structures as well as commercial buildings, including the adaptive reuse of older buildings. Since opening our doors almost 20 years ago Allison Ramsey Architects has been instrumental in providing designs to planned and traditional neighborhood developments throughout the country. We have now published five house plan collections: Carolina Inspirations I, II, and III, Outbuildings, and the North Carolina Collection. 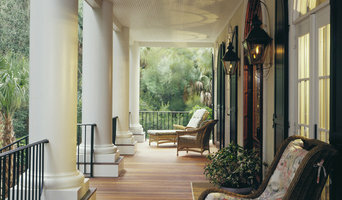 Margaret Donaldson Interiors is a full service interior design firm specializing in both high end residential and commercial design, as well as historic renovations in the Charleston, SC area. The ability to understand and exceed our clients' expectations, combined with the highest level of organization, creativity and attention to detail have made Margaret Donaldson Interiors one of Charleston's most well-respected design firms for almost 30 years. Jilco Kitchen and Bath has been servicing Charleston and the surrounding areas for over 20 years. We pride ourselves in having quality cabinets and a quality professional team. We work with our clients from start to finish and manage the entire project. Cabinets are available for kitchens, bathrooms, entertainment centers, shelving, laundry rooms and more. Commercial, new construction, and remodeling applications are all available. A wide selection of doors, stains, and paints are available through numerous product lines that can fit any lifestyle or budget. As a full service architecture and interior design firm specializing in custom coastal design and residential renovations, Herlong & Associates possesses a keen understanding of and love for the unique character of coastal environments. Each project is an opportunity for us to get to know the soul and style of a client and ensure that both endure in beauty and value. Swallowtail Architecture specializes in custom residential home design for new homes and whole house, major renovations. We are architects who design one-of-a-kind homes for our clients. We specialize in designing custom homes for the beautiful South Carolina Lowcountry on barrier islands like Sullivan’s Island, Isle of Palms, Kiawah Island, Seabrook Island, and Daniel Island, as well as in Mount Pleasant and Summerville. We are also available for boutique commercial property design. Leading the team is Architect Rachel Burton with her more than 30 years experience helping clients to define their dreams for their new home. We are an all female shop and bring this distinct perspective to designing the perfect homes for our clients. But before you start sending out dozens of emails and making phone calls, sit down and think about your project. What's your budget? What is the scope of your project? Will you need more than one type of professional to complete your home improvement project in Goose Creek, SC? Can you afford to complete the full project now, or should you tackle it bit by bit? Once you've settled on your project’s priorities, budget and scope, it's time to start researching Goose Creek, SC home design professionals. Don't sell yourself short and settle on the first professional you set your sights on. Make sure that you're working with someone local, who can get to the jobsite easily and efficiently. Look into the person’s reviews, ask to speak with former clients and to see previous jobs in person. Take a good look at their portfolio photos: How similar are these projects to your own? Be honest — that mansion might look beautiful, but it might not have a lot in common with your little bungalow. Reach out to multiple professionals — especially for larger projects — and don't settle for the first bid you hear. Comparing multiple Goose Creek, SC professionals' bids and experiences can help you find the one that’s best for you. Ask a lot of questions now, so you won't have unexpected answers later. Find a home design professional on Houzz. Narrow down your search by type of professional and location. 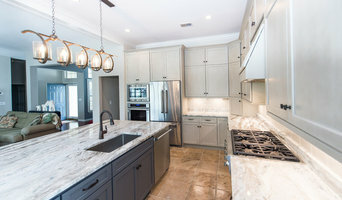 Browse Goose Creek, SC portfolio photos, read client reviews and contact each Goose Creek, SC professional for more information. Check out the information in the specialized professional sections too for tips on how to hire the right professional for your project.